432 people attended on the day, more than double the size of our conferences in 2016, which gave us a unique problem – some of the workshop sessions were too big! We apologise to those who found the morning workshops in the Small Hall and the main hall hard to hear. We will make sure future events are better organised. All those attending were given conference Information Packs – with contributions from workshop leaders and from Paul Evans and his team at the NHS Support Federation and Vivek Kotech at the Centre for Health and the Public Interest (CHPI) who both submitted additional material. All the printed copies have now been distributed, but this 32-page booklet is now available to download HERE. Transcripts of key points from the main speakers are available here. We now have VIDEO of all the main plenary speeches on our Youtube channel. Organisations which affiliate to HCT between now and December 31 will also be deemed to have paid up for 2018 – so if you want a say on what we do next year, make sure your organisation affiliates before December 2 and we can send you details. Affiliate online HERE. PLEASE NOTE: among our recent affiliations we have had the official affiliation of UNISON nationally, and the Fire Brigades Union (FBU). 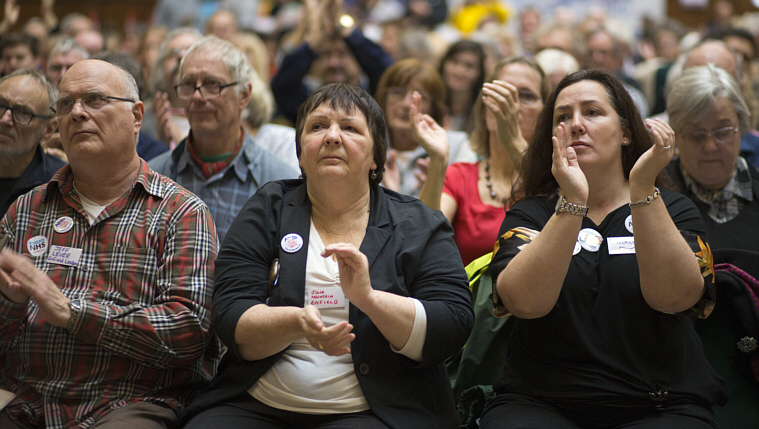 We are hoping to secure more national affiliations, but also welcome local branches of health unions and other unions – whether public or private sector – that wish to join in the defence of our NHS. 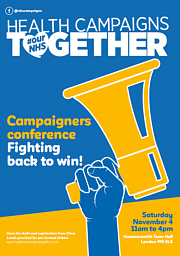 We also welcome campaigners (a recent affiliate is the successful We Own It campaign), Labour CLPs and other political organisations committed to defending the NHS, community groups and specific campaigns.